The Vahr is Bremen’s youngest neighbourhood and was considered a model city planning project in the 1960s. In response to housing shortages, the concept was to enable all age groups and households to live together in a green, urban, and easy-to-reach area. Although since that time it has been notorious as a socially troubled area, the imposing block towers are once again the centre of life for young families and migrants with diverse cultural backgrounds. The Vahr is made up of four sections. With the publication of Sven Regner’s novel, "Neue Vahr Süd", which was later made into a television movie, it has become known beyond Bremen’s borders. The neighbourhood is marked by its diversity. While the section of Gartenstadt Vahr is very green and has a large amount of garden allotments, the sections of Neue Vahr Nord, Neue Vahr Südwest, and Neue Vahr Südost are marked by an urban character: Imposing apartment complexes and wide streets built for car travel dominate. 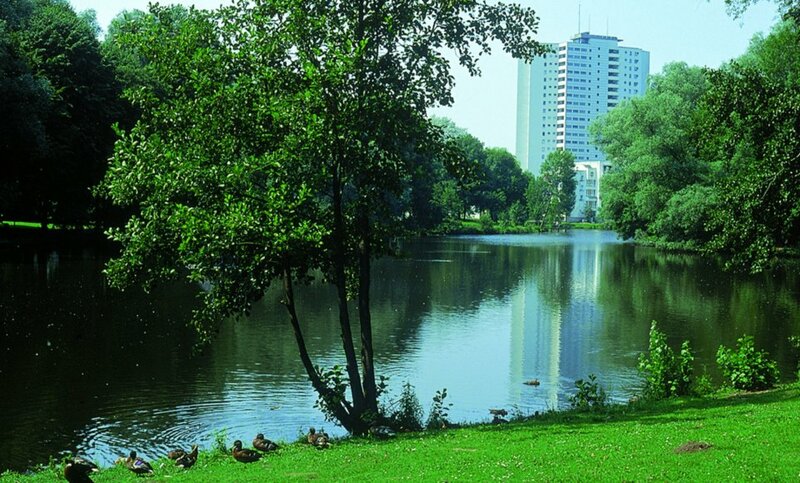 The green spaces and the Vahrer See (Lake) are like secret oases in the urban landscape. The apartment complexes, "Größer Kurfürst" and the "Aalto-Hochhaus" are famous as architectural achievements. Although no longer exactly fashionable, the structures are monuments to past theories of building housing and living space in the city. Those looking for some time away from the hectic urban pace of the neighbourhood can go to the public park in Neuen Vahr Südost. The Vahrer See (Lake) is a green oasis for rest and relaxation. A footpath with bridges crossing over small rivers leads to garden allotment areas and the Rhododendronpark. 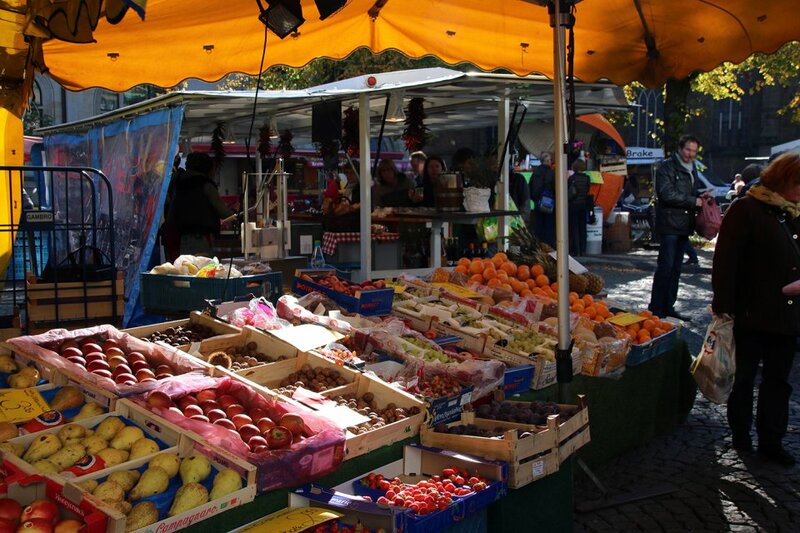 For those who’d like to do some extensive shopping, the Einkaufszentrum Berliner Freiheit (Shopping Centre) is the place. Easily reached with the number 1 tram to the stop with the same name, it also has shops for your everyday needs, making it easy to combine an errand with a more exciting shopping expedition. 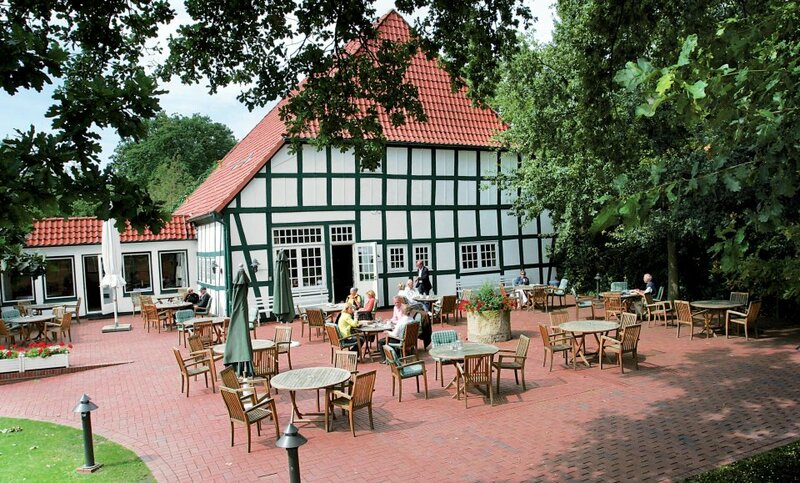 Already founded in April 1905, the Club zur Vahr provides residents of this urban neighbourhood with revitalising sport options: Golf, hockey, and tennis can be played, as well as less commonplace sports such as clay pigeon shooting. Special fitness classes and activities for children can be taken as well, offering balance to the hectic pace of big city life. The Achterdieksee is a beloved recreational area which is situated in Oberneuland but borders on the Vahr in the northeast. Especially in the summer, residents of the area gather together here to enjoy their free time. The Stadtteilplan für ältere Menschen (Neighbourhood Plan for Older People) published by edition axent, offers orientation and tips for Vahr residents who have grown together with the neighbourhood and have experienced the highs and lows of its urban development along the way. The long-time residents of the neighbourhood call themselves "Vahraonen" and even today express their pride in having found a place in this "model of urban living", so in demand at the time. Some residents are even featured in the suspenseful radio drama-Tatort 42 (Crime Scene 42) on Radio Bremen - in the figurative sense, of course. Police Headquarters are in the Vahr and, unusual for such a metropolitan area, a golf centre is located here.